Despite an increase in Black and Latinx women-led businesses, women of color continue to be left out of critical venture funding opportunities. Since 2009, Black women-led startups have raised $289 million in venture funding, but that represents less than 1 percent of the total venture funding raised for tech companies in that time period. Finney designed digitalundivided’s (DID) programming to close that gap by eliminating the barriers that have historically made it more difficult for Black and Latinx women to fundraise and start their own businesses. DID’s strategy is backed by data and insights from its data initiative, #ProjectDiane, which consists of exhaustive research covering the experiences of Black and Latinx female entrepreneurs. 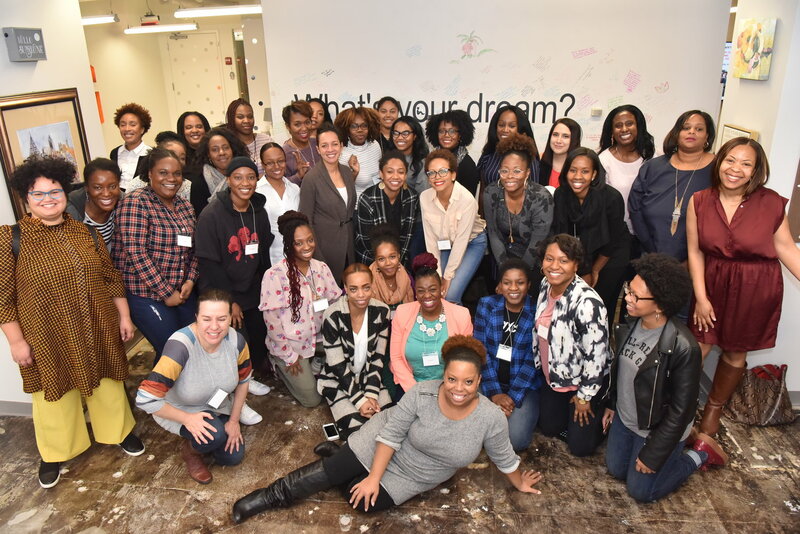 DID serves as an incubator and accelerator, leading Black and Latinx women entrepreneurs in the tech space through the startup pipeline, providing the training, networking opportunities and capital resources that women of color need to build and scale their businesses. Through its BIG incubator, DID helps women of color launch their companies by offering in-depth training to help participants grow their ideas into a business concept, identify and understand the appropriate market and customer base, and test and strengthen their product. DID then serves as an accelerator, providing direct access for entrepreneurs to funding and investors. Kathryn Finney founded “digitalundivided” (DID) in 2013 with the goal of providing economic security to Black and Latinx women by helping them start their own businesses; from the beginning of the startup funnel (idea) into the innovation ecosystem. Finney’s business model draws on her own experience as an entrepreneur. Her journey began as a social media pioneer with the launch of Budget Fashionista, one of the first lifestyle blogs. As Budget Fashionista grew in success, Finney eventually sold it. Experiencing the economic transformation of starting, growing and selling her own company inspired Finney to make her dream a reality for other Black and Latinx women. In addition to eliminating the economic barriers that disproportionately burden women of color, Finney is also working to transform society’s idea of where leaders and entrepreneurs come from and what they look like. “Women of color have always been visionaries. They’ve had to be,” Finney explained. But she is also acutely aware of the fact that 50 years ago, she “likely wouldn’t have even been allowed to enter the building” where she now leads a company. It’s also why Surdna’s investment in DID felt revolutionary to Finney. “As a Black woman in a space where very few people look like or care about someone like me,” Finney explained, “Surdna’s support gave me validation.” Just as Finney instills confidence in so many women, Surdna’s support instilled confidence in her vision for Black and Latinx entrepreneurs.